Widely praised for its strong biochemistry coverage and clear, easy-to-follow explanations and figures, Becker’s World of the Cell provides a beautifully-illustrated, up-to-date introduction to cell biology concepts, processes, and applications. Informed by many years of classroom experience in the sophomore-level cell biology course, the dramatically-revised Ninth Edition introduces molecular genetics concepts earlier in the text and includes more extensive coverage of key techniques in each chapter. 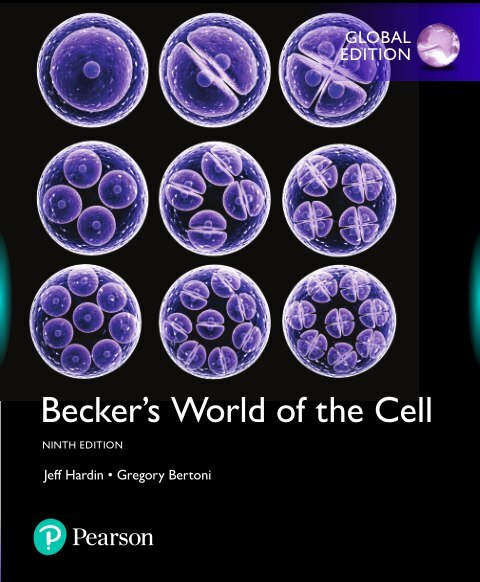 Becker’s World of the Cell provides accessible and authoritative descriptions of all major principles, as well as unique scientific insights into visualization and applications of cell and molecular biology.